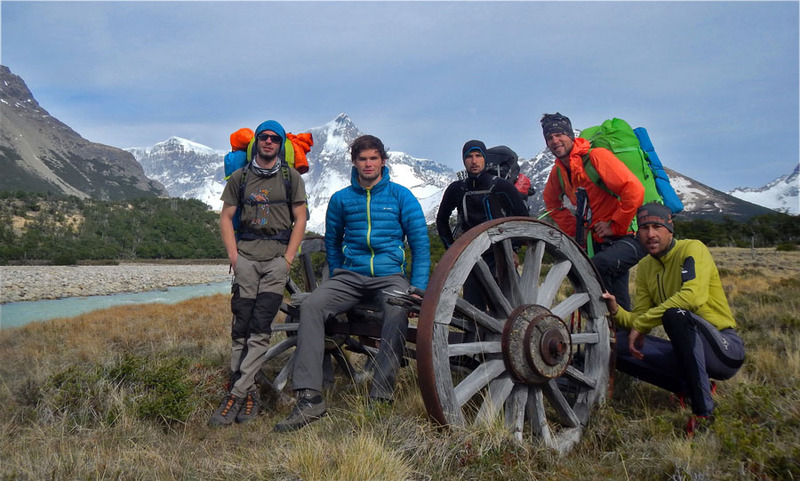 In November 2015 a team of five Slovenian alpinists Dejan Koren, Bostjan Mikuz, Rok Kurincic, Domen Petrovcic and Domen Kastelic spent a month in the area of Cerro San Lorenzo, the second highest peak in Patagonia. 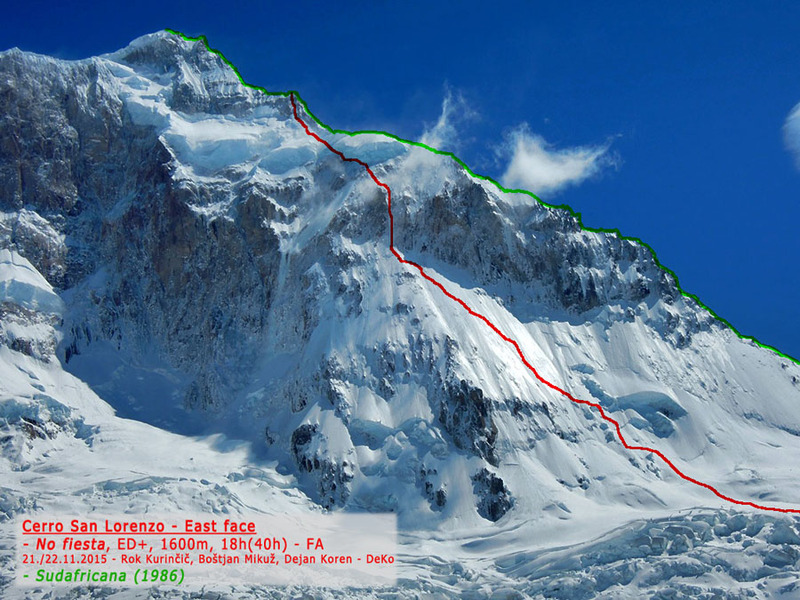 They established three new routes: Direct Route in Cerro Hermoso's southwest face (TD-, 1100 m Petrovcic, Kastelic), No fiesta in Cerro San Lorenzo's East Face (ED+, 1600m Koren, Mikuz and Kurincic) and EXIT in Cerro San Lorenzo's East Face (ED, 1000m Petrovcic and Kastelic). Cerro San Lorenzo is the second highest peak in Patagonia and is located in a very remote area. 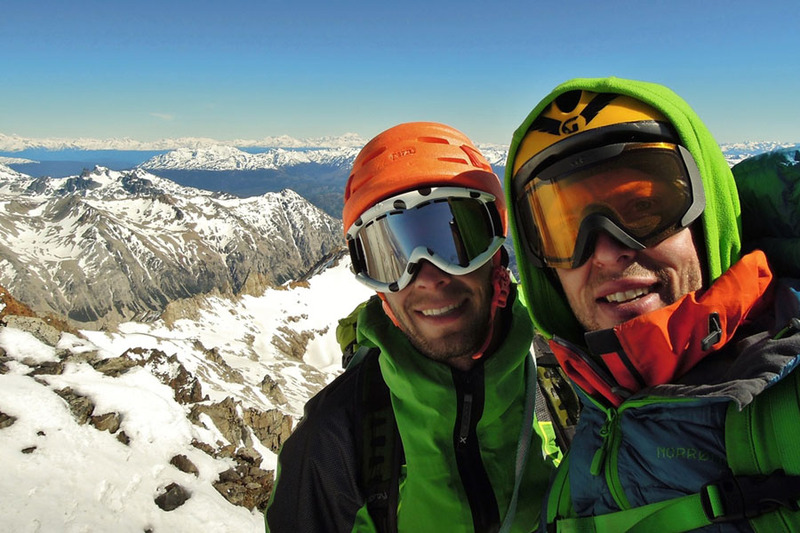 It's east face has been in many alpinists' wish-list for years. It is almost 2000 meters high, and was untouched. 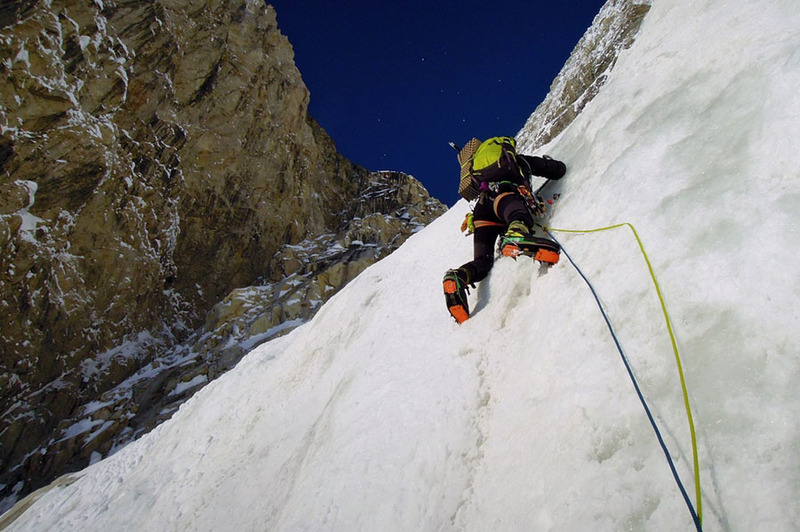 This past November a team of five Slovenian alpinists: Dejan Koren, Bostjan Mikuz, Rok Kurincic, Domen Petrovcic and Domen Kastelic spent a month in the area. They reached the area via Rio Gallegos and Gobernador Gregores, completing the last section via jeep with the help of Abel Barria. They established their basecamp at Puesto San Lorenzo, at an old gaucho hut. During an initial good weather window they were able to suss out the face and conditions, fairly dry after a snow-less winter. Despite of the dry conditions they were able to identify potential lines for "more or less safe climbing”. The initial good weather was followed by a long period of bad weather lasting 14 days. This was broken by a short window on the 10th of November when Koren, Kurincic and Mikuz made a first attempt at the east face, getting turned back by deteriorating weather. 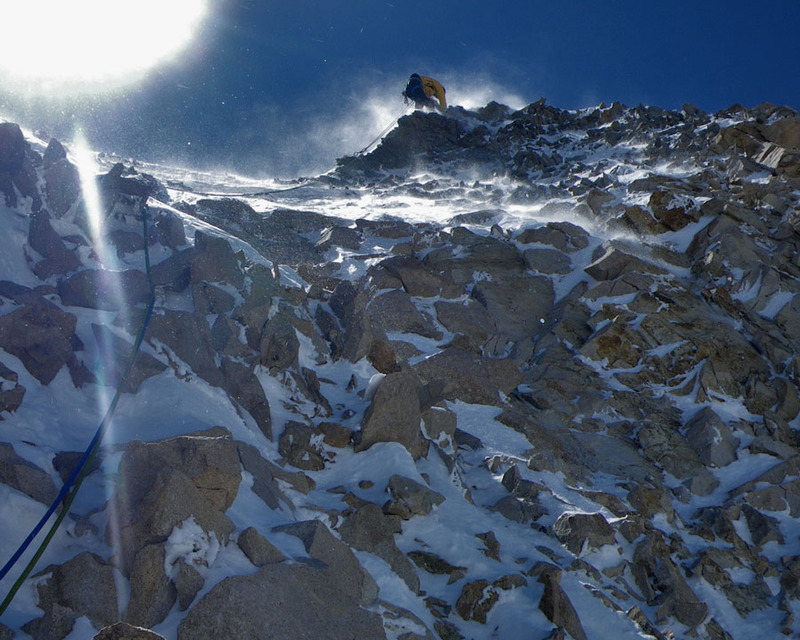 During this short window Petrovcic and Kastelic climbed a new route in Cerro Hermoso's southwest face. On November 10th they did 4-hour approach to Cerro Hermoso south side. Somewhere in the midst they stop due to the rain, pitch the tent, sit and wait almost all the day. In the evening the sky partly clear and they move further below the mountain. Next day, on November 11th, with some stronger gusts of wind, they climb a new route on previously untouched SW face: SE Ridge + Direct Route, TD-, 80°, M4, 1100 m. Conditions on the wall are fairly good the hardest pitch is the last one just before the main ridge and after 6 hours of climbing, they rich the summit. They are happy for fast climbing because they already see that deterioration of weather is coming. From the main summit they continue towards the east summit, then descending south-east snowy slopes to get back down to the beginning of the face, and the same day continuing further to base camp. After waiting patiently in basecamp and as they started running out of food and time, the first signs of a possible good weather window arrived via satellite phone. On the 20th both teams set out to the east face. Koren, Kurincic and Mikuz started from basecamp at midday and reached the base of the right side of the east face, a section of the face that is oriented to the southeast, by 5 pm. They started climbing at 7 pm, following snow-slopes to 70°, unroped. 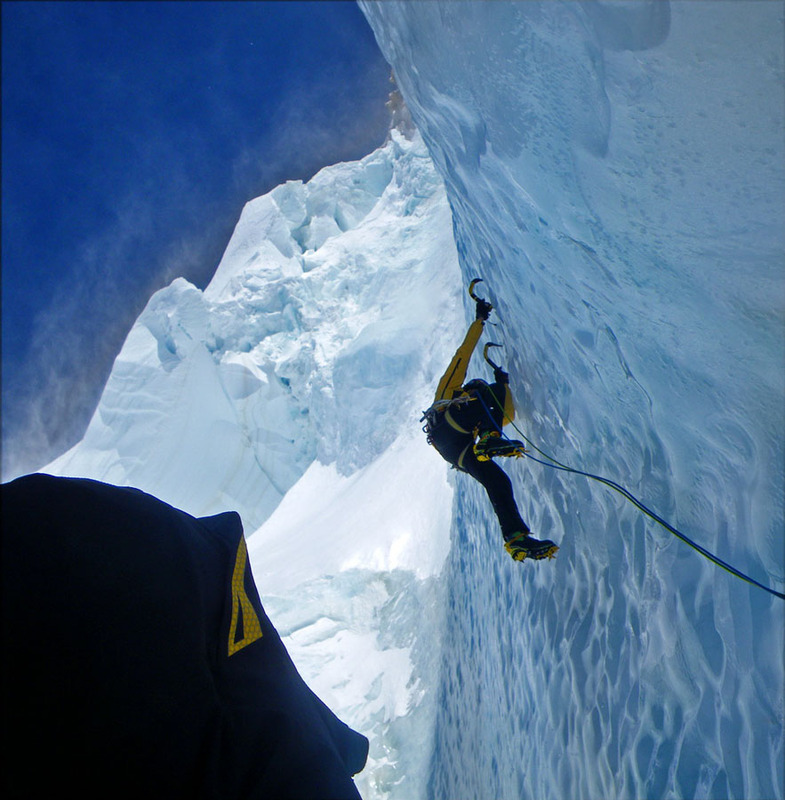 By midnight they had covered 800m and had reached the first icefall that connects the lower and middle part of the face. Here they roped up, climbing mixed terrain to the first serac, traversing left for five pitches, across very hard ice, to find a passage between second and third serac. By dawn they reached the base of the third serac. Despite a windless weather forecast, a southeasterly wind picked up around midnight, becoming quite strong after sunrise. 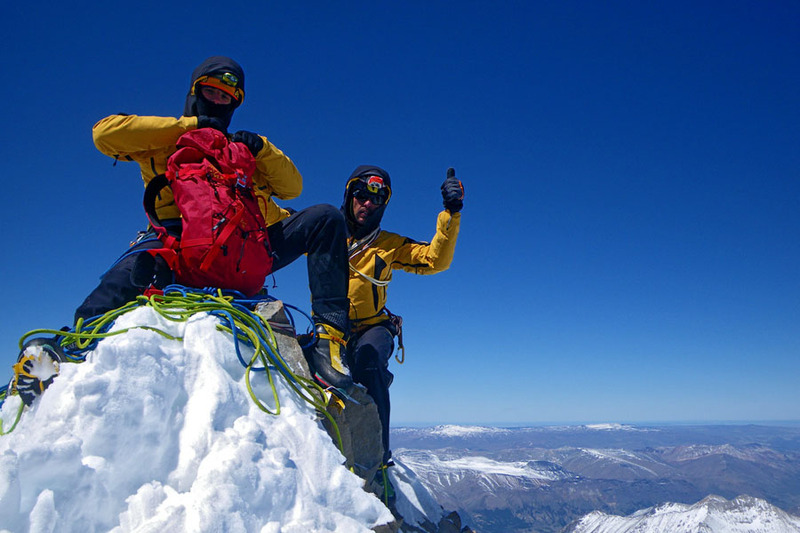 The wind prevented them from stopping to melt water so upon reaching the South-African route and the east ridge, having climbed 1.600 vertical meters, and at an altitude of 3450m, they decided to call it good without continuing on to the summit. It was 3 pm and they had climbed for 18 hours to that point. To descend, they rappeled the northeast face, which was protected from the wind, making around 40 rappels (1000m). They reached basecamp at dawn on 22nd, after being on the go for 40hs. 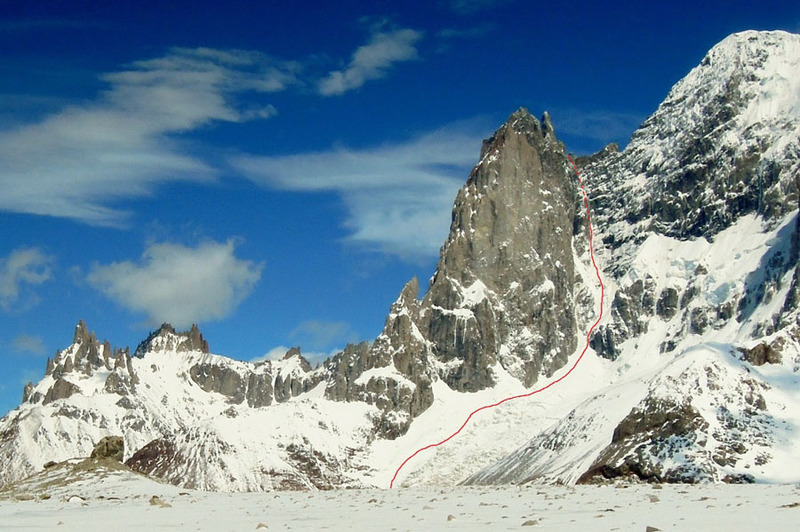 Kastelic and Petrovcic, on November 20th, does 8-hour approach to the leftmost part of 7km wide Cerro San Lorenzo East Face, where they are interested in a line between Pilar Sur tower and Cumbre Sur east summit of the mountain. They bivouac on the glacier just below the face. Next day, on November 21th, they start early but progression is slowed down due to soft and heavy snow, a bit of a help are small frozen avalanches from the previous day. They rich the first steep part of the wall at daybreak. Snow-ice conditions are sufficient and the steepest sections of the climb are mainly concentrated at the beginning and the last part of the climb. Due to the east orientation of the wall the sun gets in quickly and some little amount of snow falls down here and there from the right side of the wall. But the central part is technically easier, progression of climbing faster and exposure only a little. End of the line is a riddle till the last few meters. Fortunately there isan ice covered passage and after 13 hours of climbing they get to the main ridge via a new line: EXIT, ED, 90°, M, 1000m. Rock quality on the upper part is so crumbly that without ice conditions climbers could be easily turned back. 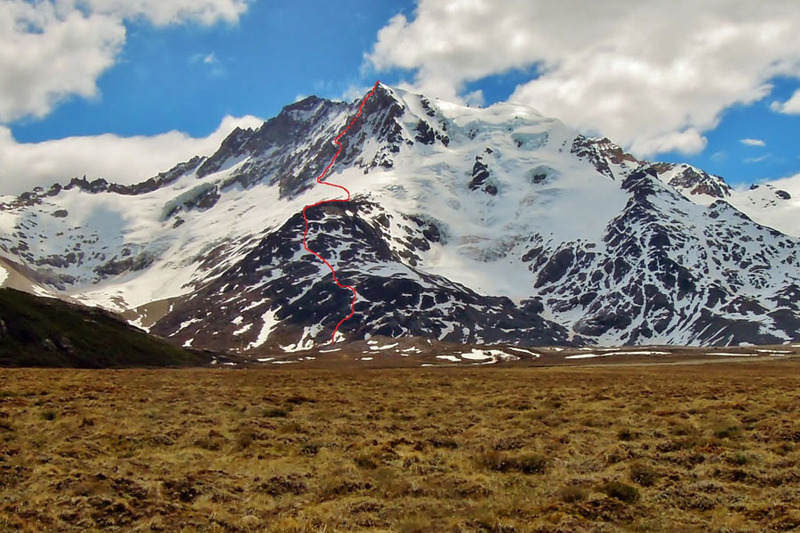 The same day climbers start descending by repelling on ice on the south, unknown side of the mountain and settle their second bivy in the valley. On November 22, third day out, they do a long all-day walk back to base camp, searching for passages through the valley full of bushes and trees, many streamcrossings, ascending and descending a ridge, and exhausting walk on the glacier sprinkled with stones. Cerro San Lorenzo, E face, EXIT, ED 90o, M, 1000m, 13h, Domen Petrovcic and Domen Kastelic, 21. 11. 2015. Sponsors: PZS (Alpine Association of Slovenia), Intersocks d.o.o., Grivel, Zamberlan, Singing Rock, Alpstation, Asolo, Obcina Ajdovscina, Mlinotest d.d., Fructal d.o.o., Norrona, Tendon, Boreal, Goal Zero Europe, Roo Bar, Promontana. Cerro Hermoso Domen Petrovcic and Domen Kastelic on top of Cerro Hermoso. Cerro San Lorenzo_Bostjan Mikuz in No fiesta. Cerro San Lorenzo Dejan Koren in No fiesta. Cerro San Lorenzo Domen Petrovcic in EXIT.